After a crazy summer spent traveling as a youth pastor's wife, my hair had seen better days. My "hair care routine" had consisted of shampoo, conditioner, and pulling my hair up into a messy bun while it was still wet. It has been a HOT summer and I'm pregnant, so my hair dryer was hidden in a drawer for the entire duration. My hair was a hot mess. Being a a BlogHer member, I had the awesome opportunity to try out another AMAZING Dove product just in time to try to rescue my hair from some serious neglect. 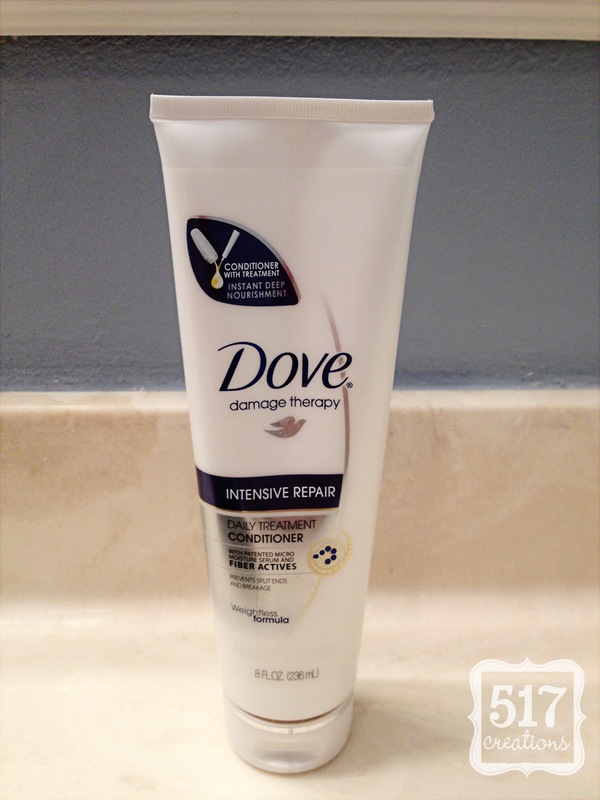 I was sent Dove's Damage Therapy Intensive Repair Daily Treatment Conditioner to try out and review. I have to admit that I was a little skeptical that it could do anything for my seriously neglected hair, but I thought I'd give it a whirl! After using the Dove Damage Therapy Intensive Repair Daily Treatment Conditioner for a week or so, I would definitely give it 5 stars! It’s a thick conditioner but doesn’t leave my hair feeling like it needs to be rinsed several times. The conditioner smells fantastic (as I’ve found most Dove products do!) and my hair felt noticeably softer and more manageable after using it for the first time. The bottle does suggest that you use the conditioner daily, but I don’t wash my hair every day…so I can’t comment on consistent daily use. • Treatment with Fiber Actives: penetrates deep inside to help rebind damaged proteins without weighing hair down. Sounds pretty scientific, huh? The people at Dove definitely know their stuff! So, how about you…has summer taken its toll on your hair? Or are you better about a hair care routine than I am? Follow the link below and leave your email and your answer to enter to win a $1000 Spafinder gift certificate!